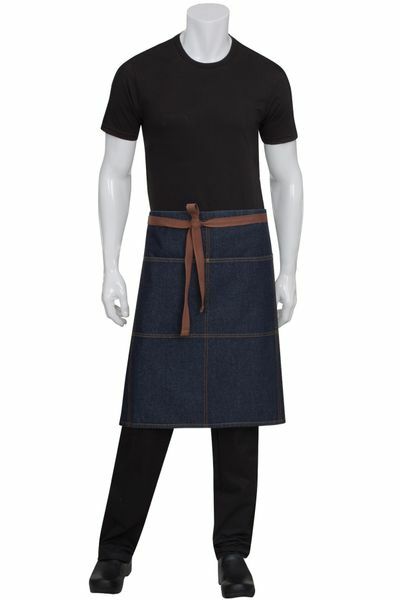 Our New Urban Denim Bistro Apron is manufactured in 100% Cotton denim. 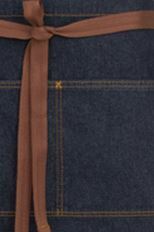 The Brown topstitching and adjustable ties give it a modern Chic look. 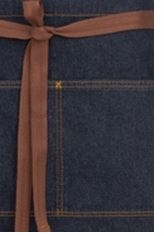 Featuring double front pockets. Wears just like your favorite pair of denim jeans. Size is 24"L by 32" wide.